We hope you will plan to join us for our September installment in our FREE 5K Fun Run series as we join the effort to raise awareness of substance abuse in Talbot County. For this event, taking place on Sunday September 9, we are partnering with the Talbot Goes Purple initiative. Talbot Goes Purple is a substance abuse awareness program that will engage our community and youth to stand against substance abuse. The project is based upon THP Project Purple, an initiative of The Herren Project, a 501(c)3 non-profit foundation established by former NBA basketball player, Chris Herren, that assists individuals and families struggling with addiction. 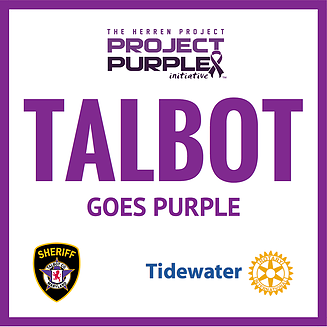 ​Talbot Goes Purple is an initiative from Talbot County Sheriff’s Office and Tidewater Rotary, in partnership with Talbot County Public Schools and Mid-Shore Community Foundation. As always, the race will begin at 9:00am, with on-site registration and bib pickup available beginning at 8:00am here at the shop. We will have a brief race meeting at 8:45am in our front parking lot. And remember, we aim to have FUN with these events. Each race is a prediction race! You try and guess your finish time, and anyone who guesses their actual finish time within 10 seconds will be declared a WINNER and receive a gift certificate to the shop. 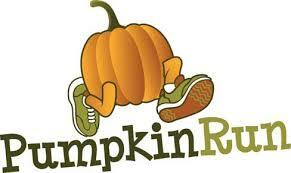 Please plan to park at St. Michaels Elementary School, then make the short walk down to the shop for the race start. If you have any further questions, don’t hesitate to send us an email info@tricycleandrun.com! If you want to come out and show your support, but don’t want to run or walk, please remember that we are always in need of volunteers to lend a hand. See you on September 9th!